Donoussa has a semi-mountainous and stony terrain covered mostly with shrubs, and its highest peak is Papas, at 385m. The minimal amount of flat land is tucked within gullies and ravines featuring terraces, where mostly olive trees, vines and fresh garden produce are cultivated. Iron, copper, bauxite and emery used to be mined on the island. 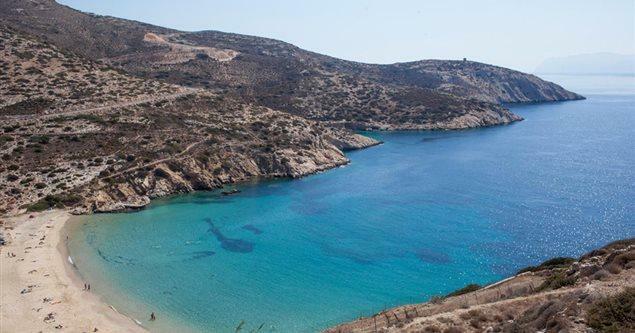 Its coastline offers an incredible variety of images, alternating between rocky and precipitous capes where rock doves, hawks and cormorants nest, on one hand, and hospitable coves with beautiful beaches crystal-clear waters, on the other. In the area of Cape Moschonas, on Donoussa’s eastern coast, the rocks feature a geological rift that has created a cave of superb natural beauty, Fokospilia. This is a huge triangular gap 40m wide and 10m high, with transparent waters and sides adorned with “corals.” It was a pirates’ haunt in the Middle Ages and used to be a refuge for seals. Its unique ambiance and pirate past has long fueled the imagination of the locals and its name is associated with many legends If you do not have a boat of your own, local caiques can be hired to bring you here. Another natural sight of great geological interest is Spilia tou Tichou (Wall Cave), in the Aspros Cavos area in the northeast. This is a sea cave more than 20m high from the sea level. Impressive stalactites hang from the perfectly curved dome, over transparent waters that give the impression of a natural pool. 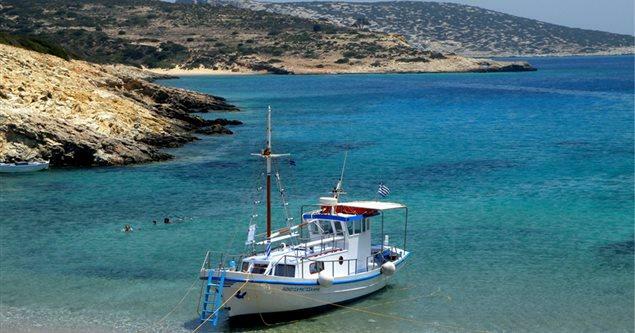 It is only accessible from the sea and can be visited by hired boat. A number of uninhabited rocky islets of particular interest dot the sea area around Donoussa: to the east is Skoulonissi, an islet of triangular shape which, according to the prevailing view, was named after the bulb skoulos that is found in abundance on its slopes. 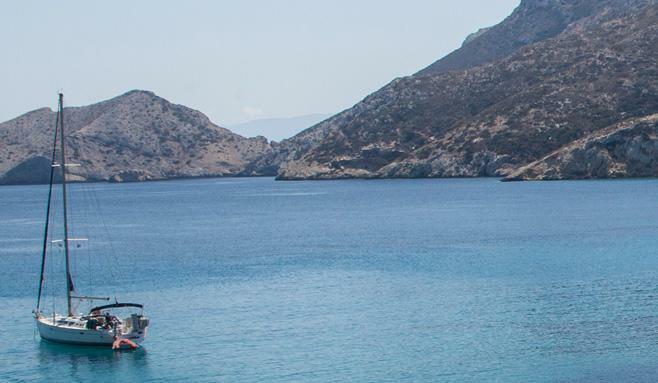 On the western side are the three Makares islets, on the largest of which, Agios Nikolaos or Megalo Nissi, Donoussa farmers used to cultivate wheat in the old days. A large subterranean cistern where rain water was collected via self-designed, slate-paved pipes. Slate slabs, known as Makarianes, were quarried here. The second islet, Prassini or Agia Paraskevi, is separated from Agios Nikolaos by a narrow strip of water only 1.5m deep. The waters here are wonderful but the shallow depth allows passage only to small boats, at low speed and with particular care. The third islet, Stroggyli, is evidently named after its round shape. Finally, northeast of Donoussa, are Melantii or Chtenia or Vouves islets – ideal fishing grounds for professionals and amateurs alike.